Introducing the New Mini Nemesis a 240mm mtm diagonal mini quad. This frame was designed and engineered from the ground up to be highly versatile while retaining the heart and design language of the original BAH series. Created in the USA with customer feedback in mind! QUAD status: First batch of frames have been delivered. -Alignment/locking holes for H in 5", X in 5", X in 6"
Last edited by bayareaheli; Aug 19, 2014 at 02:37 PM. Last edited by bayareaheli; May 14, 2014 at 03:13 AM. Last edited by bayareaheli; Jul 13, 2014 at 04:11 PM. Reserved for much rejoicing about the 240mm BAH Stingray. Seriously: Kickass, Bay and drclawscat! The fact that it can fit 6" props is what sets the BAH Stingray apart from all the other mini-H designs. If you don't appreciate why 6" props are a big step up from puny little 5" props, have a look at Soma's SunnySky X2204 2300kv Thrust Test Data. Not to mention the Tiger 2206 motors, which are even less able to live up to their full potential with 5" props. Last edited by Brainstorm; May 05, 2014 at 08:32 PM. Last edited by bayareaheli; May 05, 2014 at 08:41 PM. No worries at all, Bay! Especially not with the health woes you've just been through. Personally, I am still months away from building either a 240 or a 350. And if the 240 Stingray is any indication, the 350 (Giant Devil Ray? ) will be well worth the wait! Is that an m3 hole on the arms I can use for extended landing gears so I can belly mount the lipo? that list you gave for a mini is impressive! 1. Will it fit a 3s-2200mah Lipo for longer flight times? 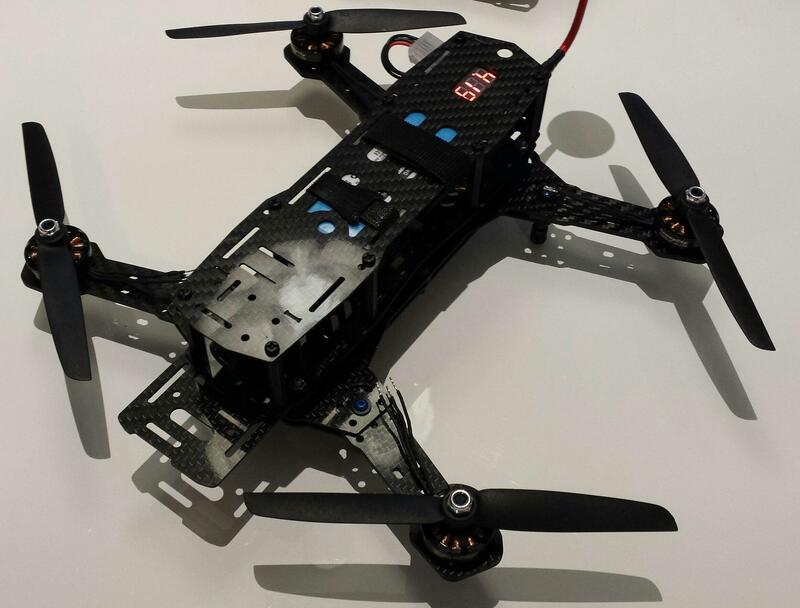 2. or will the upgraded in 6" props with 3s-1500mah increase runtimes? 4-5min regular runtime must be improved. Even better, Rob! I was just teasing and do not plan any more bugging. Although I am sure others are chomping at the bit to size up to the 350. I look forward to real-life pictures and video of the first BAH Stringray as well as many, many customer builds thereafter.